This month, the two projects that were shortlisted at last year’s Pitch Fest, were produced on the Island. 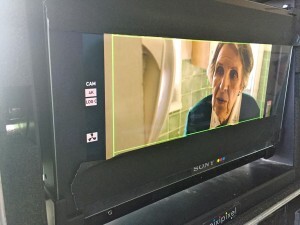 The first of these – TOUCHPAPER – was shot over the first weekend of July. Though produced by a team from London, the majority of the crew was Manx and the film was shot in its entirety on the Isle of Man. The three day shoot took in the glamorous (ahem!) 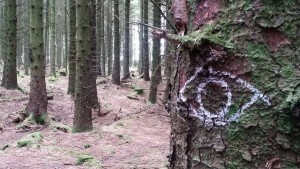 locations of Douglas Snooker Club, an abandoned carpark near Peel’s kipper factory, and a damp forest. The film, written by writer/director Patrick Hopkins, starred David Wilmot and Morgan Watkins who were flown over from London for the shoot and stayed at IOMFF hub, The Claremont Hotel. Shooting has also just wrapped on another Pitch Fest film: Manx production JEAN, written by Sonya Quayle and directed by Jim Hampton, is about a lonely old lady who ends up in hospital on Christmas Eve. It stars Doreen Mantle, who is best known for her role as Mrs Jean Warboys in One Foot in the Grave, and Michelle Holmes, who’s appeared in several TV series including Coronation Street. With a mostly Manx crew, the production shot in a house in Port Erin for one day and a training ward at Nobles Hospital for its second. Thank you to all members of crew, cast and supporting artists, and of course sponsors of the films, without whom the productions could not have gone ahead. Pitch Fest awards cash of up to £7,500 to projects on a match-funding basis, so the financial support of sponsors is crucial. This year’s Pitch Fest is accepting applications from filmmakers to pitch at this year’s festival on Friday 9th September. A preview of the two films made this month will be shown on the Sunday of the festival as part of the awards ceremony.